WHAT A YEAR! WHAT A BOOK! There’s just no better review of the racing year than Racehorses of 2018. Once you’ve done with the dozen-page introduction you can dive right in to the detail – and boy does it do detail. If you love racing and are serious about the game this is your bible. It’s an incredible record of racing’s achievers and also-rans. It’s an essential punter’s guide to future winners, from modest to magnificent. It’s all inside. It’s all you need. 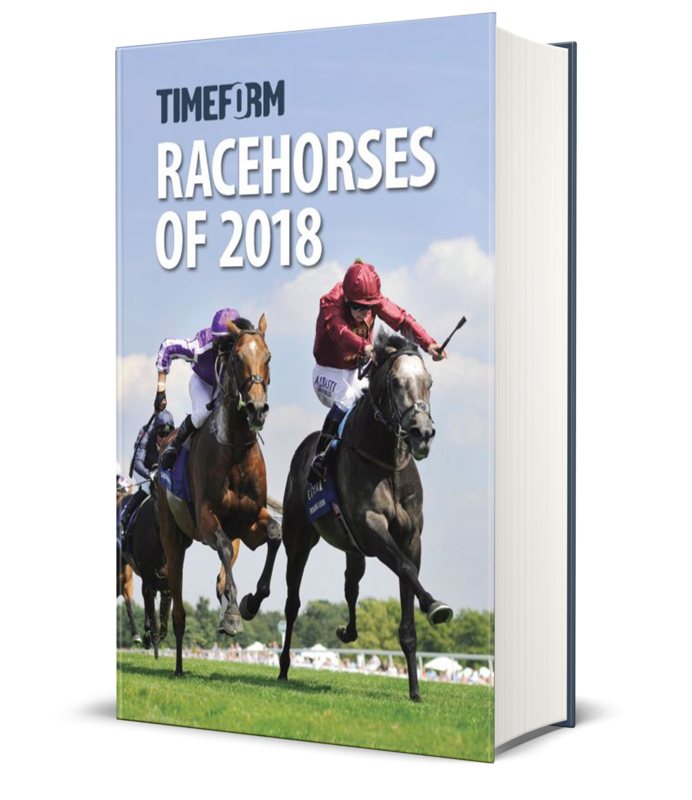 ‘Racehorses of 2018’ deals individually with 11,721 horses, including every one that ran on the Flat in Britain and the best of the Irish, each treated as a subject on its own. Lavishly illustrated, with 300 photographs of the best races and top horses, and running to 1,248 closely-printed pages, ‘Racehorses’ is designed to be of practical value in winnerfinding. Look up any horse and you’ll find its all-important Timeform rating, a quickly-assimilated written summary of its best performances and an expert analysis of its racing character, including its distance and going requirements. But ‘Racehorses’ is also intended as a permanent record of each year’s racing and it has long been the worldwide shop window for British bloodstock, internationally recognised as the definitive record of the merits and achievements of the thousands of thoroughbreds raced in Britain each year. The top horses are dealt with in essay form and the extended entries on them are always perceptive and thought-provoking, providing more detailed accounts of champions’ careers, as well as discussing current issues in racing and recalling similar achievements from the past. Looking to solve the classic puzzles in the months ahead? ‘Racehorses’ includes entries on all the main contenders. Whatever your angle on racing – whether as a racing professional or simply a keen follower of the game – ‘Racehorses of 2018’ will inform and entertain in equal measure. Examination of the wider issues in the sport through the essays and forthright introduction. It doesn't pull its punches! Price: £79 Try a free sample first below! Racehorses (£79) for the Flat is published annually in March and is part of a series which dates back to 1948. The companion Chasers & Hurdlers (£75) is published in October as part of a series which dates back to 1975/76. 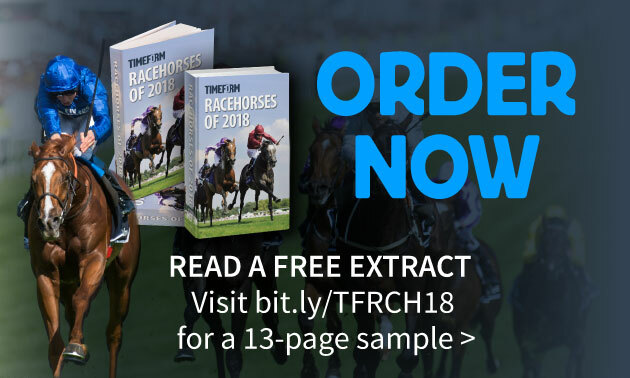 Both are available direct from Timeform, including checkout by PayPal, post free in the UK, and from Amazon*. Click on a button, link or scroll down to our product boxes to order your copy. It's informative, it's insightful, it's indispensable. So try it today! 3 for £60 on classic annuals! Help yourself to great reading from the last 60 years!